The HSMC Communication card adds key interfaces to support a wide range of industrial, image processing, scientific and measurement requirements. From 10/100/1000 Ethernet PHY, to CAN, RS232, RS485, the HSMC Communication card can quickly get you started with your designs. Also included is a digital DVI transmitter port to display FPGA driven video content. 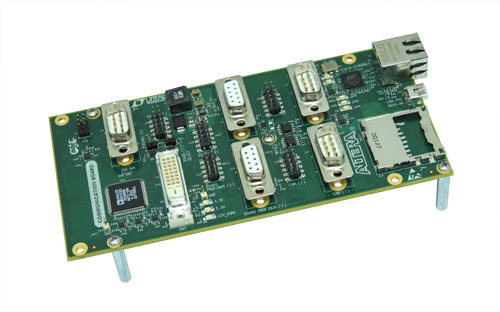 The card allows users to evaluate included interfaces with any HSMC interface host boards.